So. In this blogpost, I am going to write about the South Texas Plains. 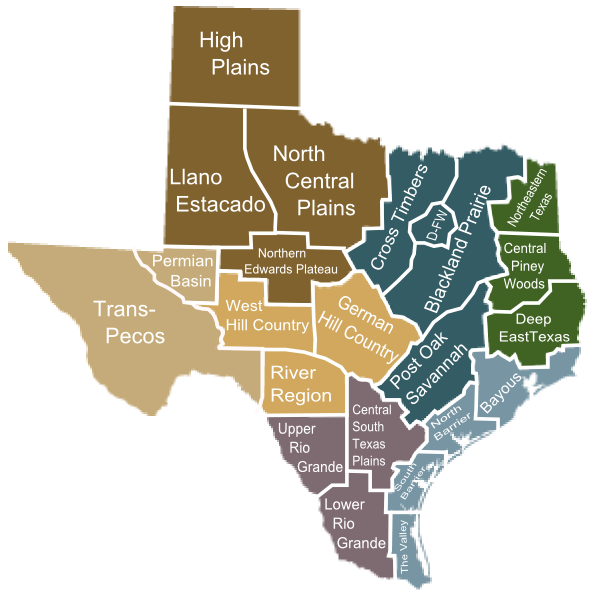 You will see that the region is divided into the Central South Texas Plains, the Upper Rio Grande and the Lower Rio Grande. I will be honest with you. I've never lived in this part of Texas. My dad grew up in San Antonio, and the fella had an uncle who lived in Laredo a decade or so, but other than that, I've mostly just driven across it a couple of times, and that was a while ago. So I'm going to have to do a fair bit of research on this. Which is kind of the point. The information is there, if one will go out and look for it. was across the street from a city park and playground through which the San Antonio River ran. That part of the river isn't dammed up and restrained like the part that runs through downtown and the Riverwalk. When I was little, the Riverwalk was pretty barren. No restaurants with outdoor dining or water taxi tours. That started up mostly when Hemisfair came to San Antonio, when I was just starting high school. (Yes, I am dating myself here.) The river in the park sometimes flooded, and sometimes it was just puddles and we would go play in the river bed. San Antonio is the second biggest city in Texas and one of the fastest growing in the country. It sprawls in all directions, like most Texas cities. It has some very wealthy and beautiful sections and some dirt poor sections like the one that grew up around my grandparents' house. San Antonio streets have their issues. Because the San Antonio climate tends to be dry, there are a lot of low water crossings--places that fill up with water when it rains. But since it doesn't rain often, they don't get around to building bridges. Which means that when San Antonio has one of its frequent flash floods--because when it rains in the area, it tends to rain really hard and then quit--they tend to have a lot of people get swept away in the flash floods because the drivers drive around the railroad-crossing-type barricades. It's getting better than it used to be, but they still lose a few teenagers every year. You can drive southwest-ish from San Antonio and reach Laredo on the border in a couple of hours. You can drive southeast and get to Corpus Christi in only a few more. San Antonio is in Bexar County and Laredo is in Webb. Corpus is in Nueces County, but it's on the coast, so it's rightfully part of the coastal geographic region. 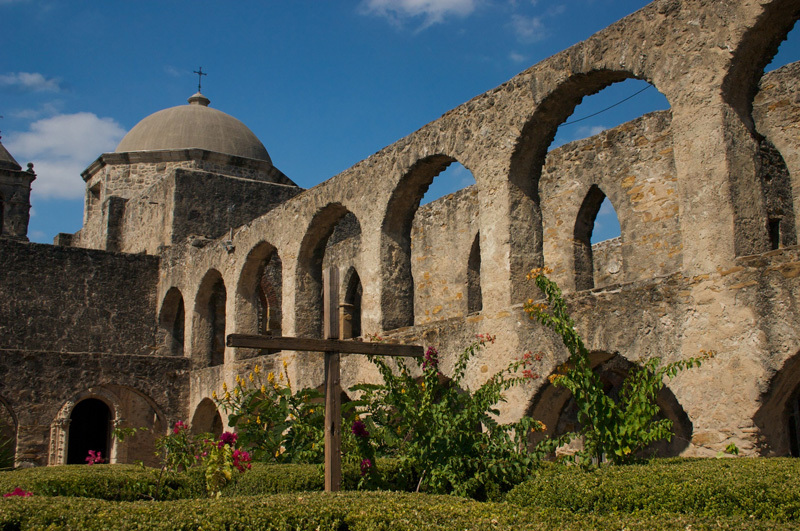 Just as East Texas is more than the Piney Woods, South Texas is more than just the Plains. East Texas is everything east of Interstate 45. South Texas is pretty much everything south of San Antonio. You will note in those diagrams up above that in both of them, South Texas angles southerly down toward San Patricio and Aransas (pronounced a-RAN-zuss, if you'll recall) Counties. So you can't draw a line along Interstate 10, which connects San Antonio and Houston, and say everything south of that is South Texas. Because it angles. The Houston TV stations like to talk about Houston being in South Texas, but it isn't. It's sort of in South East Texas. Sort of. But San Antonio is definitely considered the gateway to South Texas. San Antonio is the "big city" in South Texas. Laredo is the second largest city at 244,000+ population if we're discounting the row of coastal counties. If we kick all of those out, we're left with McAllen (over 100,000), Edinburg (81,000) and smaller towns. (Of course, kicking the coastal counties out only deprives us of the large cities of Corpus Christi and Brownsville...) There are plenty of small towns in South Texas, and plenty of ranches. Just remember, this is south Texas. Close to the Mexican border. As you go north along the Rio Grande, you get into more and more hills and bluffs and gulleys, but before it gets very hilly, you're in the Hill Country, which does bump up against the border. Mostly, South Texas is plains. It's more of the flat countryside. In the spring, you will see wildflowers. Otherwise, it's pretty much just mesquite trees, prickly pears and more or less grass, depending on how dry the year has been. A lot of the time, the grass is the same color as the dirt, so you can't necessarily tell how dry it's been. I remember being very bored by the landscape, driving both to Laredo and to Corpus. And I don't remember the mesquite trees being as big as the ones in this picture. I remember them being about as tall as the prickly pears. This scene is pretty typical however all across the state. I've seen places like it in the Panhandle and all the way south to the Rio Grande. Cows will eat a lot of things if they're hungry enough. My mother tells stories about helping to burn the spines off prickly pear pads when she was a little girl so the cows wouldn't get them in their mouths. She and her sisters would put the prickly pears on sticks and hold them over the fire--just like they did back in the 1700s when the Spanish and the Mexicans held Texas. Nowdays, they use a sort of flamethrower. The old Spanish word for burning off the spines is chamuscando. Which apparently means "burning spines off prickly pears." 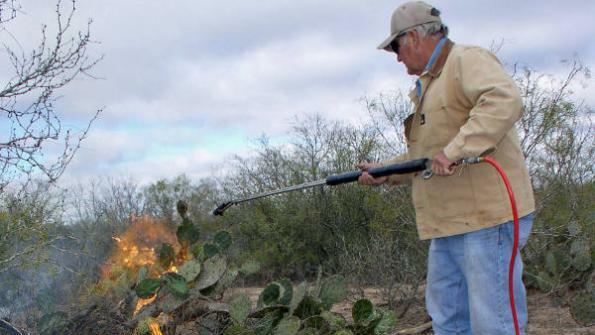 If you don't burn the spines off the prickly pears, the cows will eat them anyway and get the spines all in their mouths--and prickly pears? 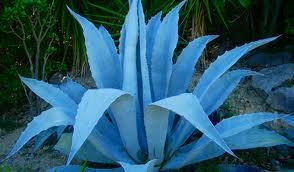 They have big spines arranged sporadically like polka-dots across both sides, and surrounding those big spines? There are hundreds of tiny, hairlike spines that are murder to get out. (Yes, I have been stabbed by prickly pears. Both kinds of spines.) And they hurt like the devil when you get punctured with them. The poor cows don't get much good out of eating the pears--they're mostly fiber and moisture, but they fill their bellies. And if the spines don't get burned off, the cows will be walking around with their mouths all swollen up and sore from the spines stuck in there. Poor cows. The South Texas Plains are dry. They're flat. But they're not desert. Quite. There's lots of brush and mesquite trees and grass. The plains support lots and lots of deer, hogs, and cattle. Turkeys and quail, javelina--which are different from feral hogs. The mountain desert in New Mexico and Arizona will support quite a bit of wildlife too, but not as much as South Texas. It's a brushy dry. And there are still a lot of wildflowers. Even prickly pears bloom. You ever see one? I feel like I should be telling you more, but I'm not sure what to say. The terrain really does look pretty much the same all across the region. There are hills and gulleys, so individual places are different, but overall... it's brushy plains. I've given you all the anecdotes I can think of. Um--no, I'll save that one for when I'm talking about Texas politics. Anything else I come up with would be from things I've researched. And that's your job. Look at a map. Look at the images that Google pulls up. Read the Wikipedia entry on South Texas. At the very least. I would recommend just putting South Texas as your search term for images, because when I put in South Texas Plains, I got a lot of Panhandle images. Not a whole lot different, to be honest, because the plains in South Texas are just the southernmost point of the Great Plains that start up in Canada. Think of it as plains rather than desert, and you'll probably get closer to right. Not trying to be comprehensive or definitive. Just trying to get folks to think about what Texas really is, and maybe point a few writers in the right direction for research. Hope I'm helpful.